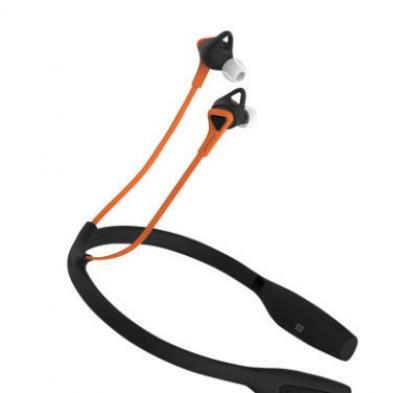 Pioneer Corporation, leader in optical disc technology and a worldwide manufacturer of audio, video and computer equipment, has launched the SEC-S801BT - a heart rate sports earphones with graphene diaphragm. These will be made available in China as a start. The Pioneer SEC-S801BT is a Bluetooth dual-mode based sports earphones that track the user's heart rate while simultaneously playing music. The graphene diaphragm is considered a superior material for earphones as it allows more accurate sound reproduction and can deliver clarity in the mid to high frequency range. Using the graphene diaphragm, the Pioneer earphones reportedly provide a wider range of frequency response, resulting in an acoustically solid listening experience for the users that achieves a deep bass while still having best-in-class middle and high frequencies. Pioneer has joined the trend of graphene-enhanced audio, which seems to be gaining real traction. In November 2016 it was reported that Xiaomi's latest Piston 3 Pro earphones make use of a graphene membrane. In that same month, Israeli audio pioneer Waves Audio announced that it is going to develop an innovative electrostatic speaker using a nanoscale active membrane based on graphene in collaboration with the Virginia Polytechnic Institute and State University. Since then we have seen several graphene-driver based earphones hit the market, including China-based FiiO Electronics FiiO F3, Zolo's Liberty wireless earphones and CKCOM's wireless earbuds. Even Apple is seemingly interested in graphene speakers.